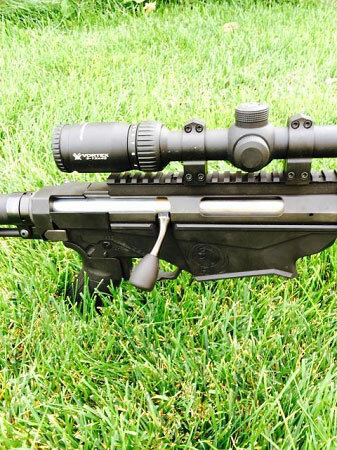 The absolute HOTTEST rifle on the market right now is the Ruger Precision Bolt Rifle®, and with good reason. Legal in ALL 50 states, it is available in .308 Win, .243 Win and 6.5 Creedmore and will shoot 1/2 MOA consistantly. The net is full of reports of 1000, 1500 and MORE yard shooting with great results. Ruger® really has a winning bolt action rifle, but they made one mistake with it - there is a bolt extension that attaches to the back of the bolt that they made out of plastic! This extension is critical to help guide the bolt back into the action during operation. Never fear, Omega Mfg has come to the rescue with their precision machined replacement extension carefully crafted out of 7076 T6 aircraft grade aluminum and finished with a clear anodization that will provide for longer wear and abrasion resistance. This custom bolt extension will work with all of the calibers and give you trouble free performance. 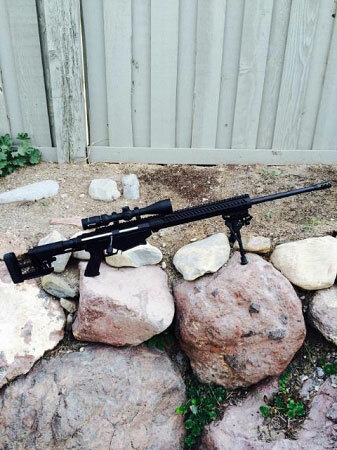 Go ahead, use your long range rifle to its fullest possibility today with this fantastic improvement part made in the USA, right here in Utah.